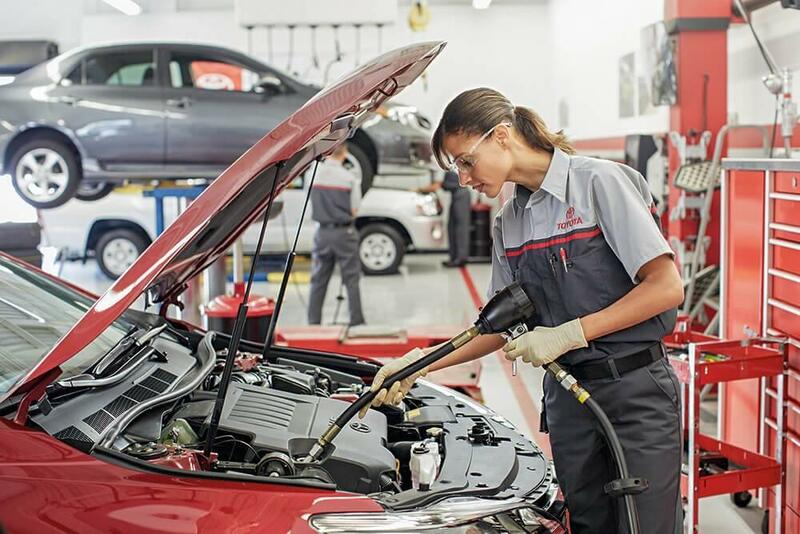 Included in every new Toyota purchase is the ToyotaCare® service plan, which covers normal factory scheduled maintenance for the first 2 years or 25,000 miles of your vehicle’s life, whichever comes first. However, if you’re like many Toyota drivers, you plan on having your new Camry, Sienna, or RAV4 be a part of the family for years to come. Toyota’s commitment to our drivers is the reason why we are pleased to offer Toyoguard service plans, which extend and enhance the services of your included maintenance plan after ToyotaCare® expires. With three plan options offering up to eight distinct service features, there is a Toyoguard plan that’s a great fit for your unique needs. Take a look at what Toyoguard has to offer, and see which one will benefit your Toyota vehicle best. Toyoguard is offered in three distinct plans so you can choose the plan that best fits your unique needs. If you need to have your basic maintenance pre-paid and taken care of, the Toyoguard Platinum plan maybe just what you’re looking for. It includes Protective Coating to the exterior and interior of your vehicle, Oil Changes and Tire Rotations, as well as Roadside Assistance and Rental Car Assistance. If you want to protect your Toyota from the elements, and have the security of assistance should trouble occur, the Toyoguard Select plan has everything you need, Protective Coatings inside and out, Cleaning Products to keep it looking great, VIN Glass Etching to help in stolen vehicle recovery, and both Roadside Assistance and Rental Car Assistance. For the driver who wants every detail covered, the Toyoguard Elite plan is a great fit. It includes all eight Toyoguard services, so your Toyota will be fully protected, maintained, and you’ll have access to Assistance, including the Toyota Personal Assistance for concierge-style help for whatever you may need. Why Toyoguard? Well, your Toyota vehicle is an investment, so Toyoguard offers its specially designed service plans to extend the longevity of your vehicle. That begins with protecting your vehicle inside and out. No matter which Toyoguard plan you choose, your vehicle will receive a protective coating to keep it looking like-new. The Exterior Paint Sealant protects your vehicle’s exterior from salt, air, and harsh winter weather, while the Interior Protector helps repel stains and dirt on fabric seats and carpeting. To keep up with your newly protected surfaces, the Toyoguard Elite and Select plans include travel-sized cleaning products formulated to keep your vehicle surfaces looking sharp. And while we hope that your Toyota stays safely in your possession, the Elite and Select Toyoguard plans allow you to have your Vehicle Identification Number (VIN) laser etched on to select windows, so in the event your Toyota is stolen, law enforcement can better identify and recover it. It’s no secret that the best way to keep your Toyota vehicle on the road for years to come is with regularly scheduled maintenance. 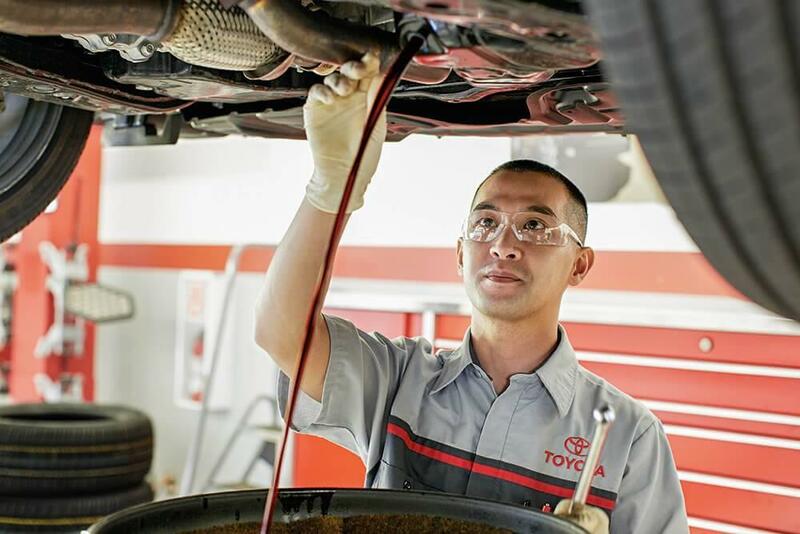 Two years of oil and oil filter changes are included in ToyotaCare®, and if you’d like to keep scheduled oil changes included in your maintenance plan, the Toyoguard Elite and Platinum packages will continue that great service for an additional two years. Each year, you’ll receive 1 synthetic or 2 non-synthetic oil changes (depending on which is required for your vehicle), so your Toyota’s engine can continue to work at peak condition. Additionally, the Platinum and Elite plans also include tire rotations for an additional two years. Uneven wear on tires can cause diminished performance and efficiency in your Toyota vehicle, and regular tire rotations can help to ensure your tires wear evenly over time. These plans cover all tire rotations for the first four years of your vehicle’s life. Sometimes life throws a wrench into your plans, which is why all three Toyoguard plans include Roadside Assistance. For 5 years or up to 60,000 miles, we’ll be here when you need us. Whether your Sienna’s battery is dead, your Corolla has a flat, or your Tacoma runs out of gas, Roadside assistance will be there with a jump start, tire service, fuel delivery, lockout service, and limited towing and winching 24/7, anywhere within the continental United States and Canada. Likewise, if your vehicle is in need of an overnight repair or requires a part that has to be ordered, all three Toyoguard plans include Rental Car Assistance, so you won’t find yourself without a vehicle in order to get your Toyota fixed. When you choose the Toyoguard Elite plan, you’ll also have access to the Toyoguard Personal Assistance Service, which provides you instant access to anything you could need, anytime and anywhere. Whether you need driving directions, dinner reservations, the latest sports scores, or more, your Toyota Personal Assistant is available 24 hours a day, 7 days a week to meet your needs. Learn More About Toyoguard Today! Are you curious about the Toyoguard plans available for your vehicle? Do you want to learn more or purchase a plan? Get in touch with the staff at Palmer’s Toyota Superstore in Mobile, AL, to learn all about these great maintenance service plans today!